Q: How can I set the tab order when press tab on a form? A: To set or change the tabbing order of form fields within a PDF document, one has to reorder the fields in the field tree located on the left in the form designer mode. One can drag and drop fields in the field tree to change the tabbing order. NOTE: This feature requires the “Pro” version of PDF Studio. This is the field tree in the form designer mode in PDF Studio. 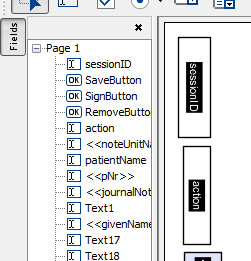 Drag and drop fields in the tree to rearrange the tabbing order of form fields on each page. The field tab order is determined by the order of the fields listed in the tree from Top to Bottom.